Do you have young kids? Are you living paycheck to paycheck or looking for new ways to save money with kids? Having young children can be very expensive. Even though they don’t physically take up much space, the stuff that comes with a child and the dent in your finances can be a challenge. 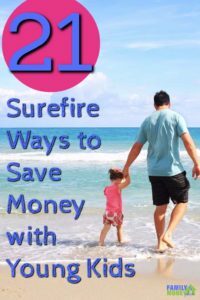 I have three young kids and am always searching for creative ways to save extra money. 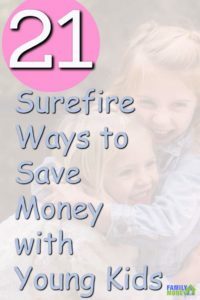 Read this list of easy ways to save money with kids. Decide which ones would have the biggest impact for your family. Choose a couple to start with. Add as many into your life as you can and watch your savings grow from month to month. Do an art project together. an abundance of free activities your whole family will love. These two apps are the easiest way I have found to make money on my everyday purchases. I am not a good couponer. I always look for sales and plan well, but clipping coupons and remembering to have them with me is frankly just too much for me. But, Ebates ($10 sign up bonus) and Ibotta ($10 bonus for signing up) are amazing. You can read more about each program here. The more you stay home, the less money you will spend. Choose to go grocery shopping or run errands just one day per week. Find ways to enjoy your time at home as a family. It’s okay not to try to entertain your kids all the time. They will benefit greatly from learning how to overcome boredom and you can even get them to help around the house a bit. If you are anything like me, you hear the term meal planning and start to hyperventilate a little. How in the world can you make time to plan out all your meals a week or more in advance? Meal planning doesn’t have to be complicated. Once I learned a simpler method, meal planning Saved our family quite a bit of Money Every Month and actually made life easier. Knowing what you will cook in advance gives you the ability to buy only the items you need, look for sales, and waste less food. All of which will save you money. Paired with ebates and ibotta and you will even make money on the items you buy. If you are brand new to Meal Planning, start here and make sure to download the free planning pages. This is the for anyone, not just people with children. If you don’t have a plan for your money you will spend more of it. 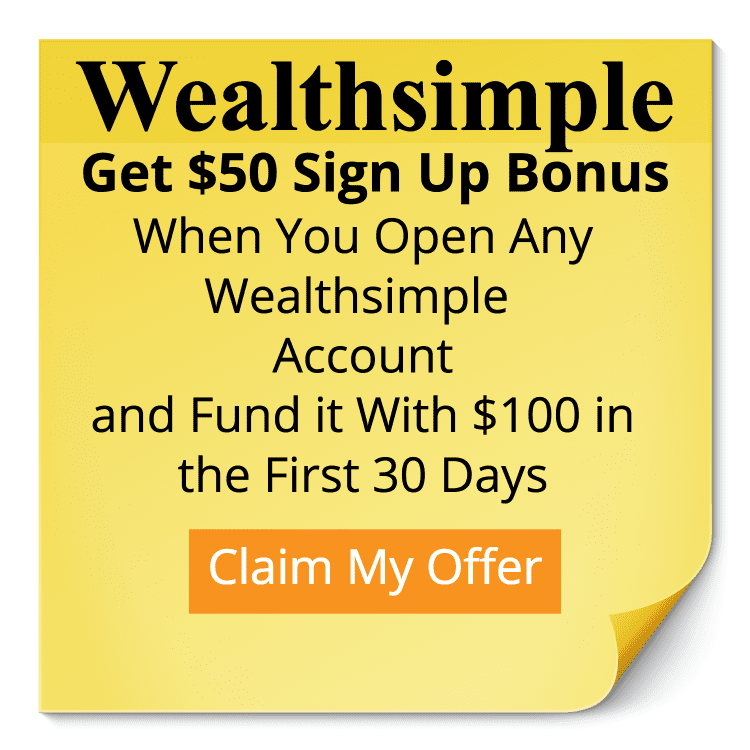 Start a zero based budget at the beginning of every month. Make a plan for every dollar, including money you will save and stick with it. By doing this you will be less likely to buy that extra toy, cute dress on the clearance at Target, or your third Starbucks for the week. When I started our zero based budget, we saved nearly $300 the first month without making any sacrifices. Give it a try and see how it can help your family! Eating out can be such a nice convenience. Let’s face it, having someone else cook and not having to clean up afterwards is priceless at times. But it can also put a big dent in your wallet. You can cook healthier meals for a fraction of the cost at home. Depending on how much money you want to save and how often you currently go out to eat set a goal to reduce the amount or cut it out all together and watch how much money you are able to save each month. When you do go out to eat, look for restaurants that have a kids eat free night. Many restaurants have at least one night per week where they offer a free meal to kids with a paying adult. This can cut your bill in half in some cases. One of the cheapest ways to see new places with kids is to camp. National forests often offer very cheap nightly rates with some amenities like water and toilets. Plus we all benefit from a little time away from everyday conveniences at times. If the idea of camping with kids terrifies you, read this. Check out our Free Family Camping Checklist here. Choose at least one weekend per month where you don’t spend any money. If you are really brave, shoot for one whole week per month or choose an entire month. You can still buy your groceries and necessity, just keep from spending on anything else. 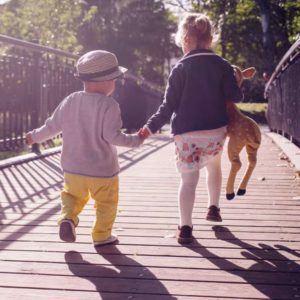 Rather than another toy (which will probably be added to a collection of toys that are no longer played with in no time), plan a fun day together. Clothes and other kid essentials are expensive and they are outgrown quicker than they can be worn out. You can find barely used, if not brand new, items at second hand stores at a fraction of the cost of buying new. This tip alone could save you hundreds of dollars a year. Utilize websites like Craigslist and Facebook to find gently used items. You can also resell your items once you no longer need them and get some or all of your initial investment back. Rather than paying a babysitter, see if you and another couple can trade. It is important to take time away from your kids and be with your spouse, but babysitting can get expensive. Ask a friend who also has kids if you can watch their kids for a night in exchange for a night of babysitting for your kids. Cable is a monthly expense that can save you a ton! If you still enjoy more channels than what you can get with an antennae, think about getting Netflix or Hulu. You will be amazed with the selection of movies and tv shows you can watch for as little as $7.99 per month. A couple years ago I started reading about all the ways I could make my own cleaners. Not only has this saved me a lot of money, I now know exactly what is in every cleaner I use in my house. It is way simpler than you may think. Here’s a list of the cleaners I use. You can also google DIY natural cleaners and you will be amazed with the resources you can find. I love Halloween and so do most kids. Enjoy them with your kids by helping them come up with a costume that can be homemade. I am shocked with some of the birthday parties my 5 year old gets invited to. This does not have to be an expensive event to make it special for your child. Don’t worry about throwing the most elaborate party. Buy character stickers and place them on plain cups rather than splurging for the character themed party decorations. Create a couple simple games or crafts and the kids will have plenty of fun. If you have more than one child, birthday parties can be a major expense multiple times per year. Allow yourself to throw a reasonable party rather than making sure it lives up to everyone else’s. Even if you have no experience cutting hair, watching a couple You Tube videos can teach you plenty to give your children haircuts. Buy a pair of clippers and a nice pair of scissors and you will save $10-15 per child every couple months. This can add up quickly. Your kids don’t care if you make the fancy meals you just found on Pinterest. While your kids are young, spend less time coming up with new recipes and cook simple meals you know your family will love. If you have a few different recipes you know how to make easily, are cost effective, and your family likes them, just rotate them. It’s okay to make your life easier. You will also save money because you won’t need to buy new ingredients all the time. Watch your local paper or search for events online. There will be free family events throughout the year in your town or a neighboring town. Holidays usually bring many unique festivals and fairs that are sure to entertain your whole family. Your child doesn’t need to be in every sport, club, or extracurricular activity. Your child will benefit from having an easier schedule and so will your family. Let your child choose one activity at a time and even allow some breaks throughout the year where your schedule is free. This will save you money and sanity as your kids grow. Kids need to hear the word no. Don’t give into everything your child wants to have. You are not depriving your child by saying no often. It should be a feat to get something new so don’t let it become the norm. One of my favorite hobbies to do with my kids is photography. This is basically free. Besides the initial investment of their kiddie cameras (which I asked the grandparents to get for a birthday one year) and a few developed pictures here and there. We don’t spend any money taking photos. My kids love to go for a walk, to the park, or anywhere really and take photos. This is something we can all enjoy together with little to no cost. Find family hobbies that will bring you closer together as a family and don’t cost any money. If you think your kids would be interested in photography, here are 15 fun photo projects you can do together. Or join my FREE photography course and start a hobby of your own! Do you have other clever ways to save money with kids? I would love to hear about them! Comment below or connect with me on Facebook and share them with us. I hope you found this list to be helpful for your family. 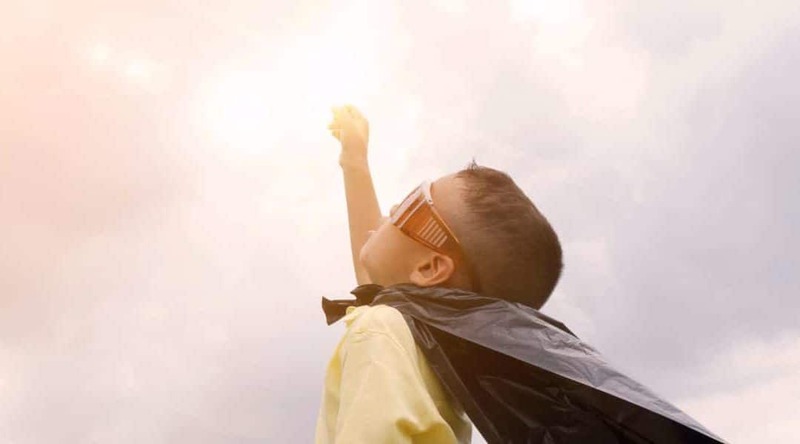 Saving money with kids can be challenging, but taking small steps to increase your savings can have a big impact later! Jenna is the creator of athomewithkids.com where she teaches parents to live simply, embrace parenthood, and capture everyday moments with photography. She is a teacher, a family photographer, a wife, and a mom to three little humans. You can connect with her on Facebook, Instagram, and Pinterest.